CLOSEOUTS. 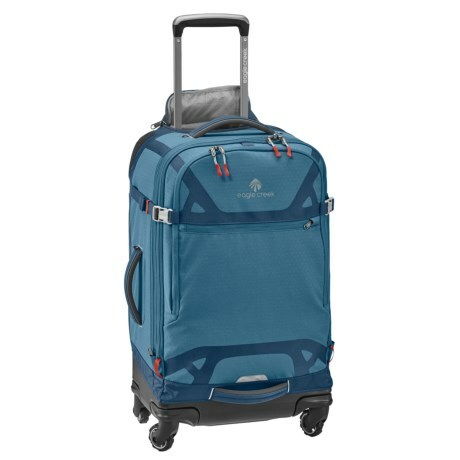 Wheeling this spacious Eagle Creek Gear Warrior AWD spinner suitcase through the airport is easy with its adjustable telescoping handle and four smooth-rolling DynamicSpin wheels. Available Colors: SMOKY BLUE.